Ten percent of junior players walk onto the tennis court for the first time with clear-cut talent. If they really push themselves to the max and go for it, they can potentially make a career as a professional player. With slightly less effort on- and-off-the-court, they can still achieve a good level of junior and college success. Eighty percent of junior players walk onto the tennis court for the first time and will go as far on the junior or collegiate circuit as their effort, commitment and proper guidance takes them. The hardest workers can reach the top levels of junior and collegiate tennis. A successful career in pro tennis for the hardest workers can be tantalizingly close, but truthfully, out of reach. I should know, this was my category as a player. Ten percent of junior players walk onto the tennis court for the first time and just find tennis extremely difficult. It doesn’t mean they won’t be able to enjoy tennis as the great lifelong sport that it is or even make their school team one day, but achieving a high level of junior and collegiate success is probably not going to happen even with maximum effort. Athletic confidence is very innate. It’s a simple sense of entitlement one gets when they are in the sports arena. Have you ever watched five-year-old children play soccer? At this age, most kids know pretty much the same about the game. However, some kids are more aggressive and are just more confident out there. This athletic confidence permeates across all sports. If you walk onto the court believing you are more athletic and work harder than anybody you play against, the potential is limitless. This athletic confidence is a born talent that can be improved in many cases. When it comes to physical skills, we often hear about power, speed and hand-eye coordination. Flexibility is right up there in terms of importance. How low can you get? How wide can you stretch? How elastic are you? Most importantly, flexibility decreases your risk of injury. Once again, flexibility is a talent people are born with, but can improve. When a parent of a young prospect asks me if their child can be “good,” one of the first things I ask them is if they, as a parent, are willing to sacrifice. Yes, tennis is usually very expensive. There are ways around it sometimes though. Just as important though are the parents willing to put in the time. If you the parent don’t want to go to New Jersey on weekend evenings or upstate New York for a Super Six, it will hamper your child’s development. Another thing parents often have to deal with is other children’s schedules. Do you have other children who have other activities in other locations which will prevent you from getting your child to tennis practice and tournaments? As we all know, younger siblings often look up to older siblings. This can be good or bad for a child’s development. This can be good if their sibling is a hard-worker, loves tennis and views tennis positively. It can even put the younger child on a faster track because they have seen their older sibling go through the process. It is not as new of an experience to them and the younger sibling has something to strive for. Often, a parent of a talented, high-ranked player will tell me their child plays simply because their older sibling plays the same way. 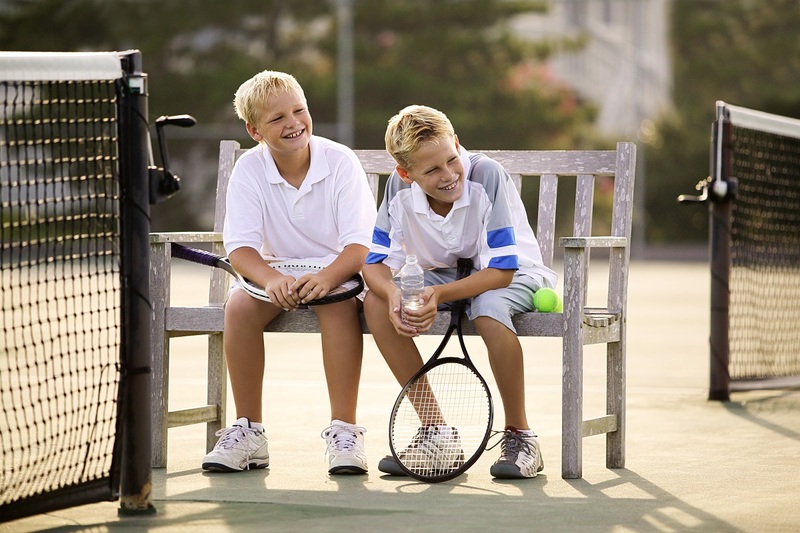 It can be a negative if the older child mocks tennis, is lazy on the court or pulls them into another activity. Ricky Becker is the Director of Tennis at Pine Hollow Country Club. He independently coaches high-performance juniors and adults of all-levels year-round at Bethpage Park Tennis Center. He has coached hundreds of ranked junior players. As a player, Becker was awarded Most Valuable Player for the 1996 NCAA Championship Stanford Tennis Team and 1989-1992 Roslyn High School Tennis Teams, and was ranked number four in the United States in the 18 & Under Division.